A word of warning: The following list is not exhaustive and does only express my humble opinion. Moreover, some Kotlin features should be used with sound judgment. If overused, they can make our code even harder to read. For instance, when you create a “train wreck” by trying to squeeze everything into a single unreadable expression. In Java, we have to write quite some boilerplate code to implemented certain idioms and patterns. 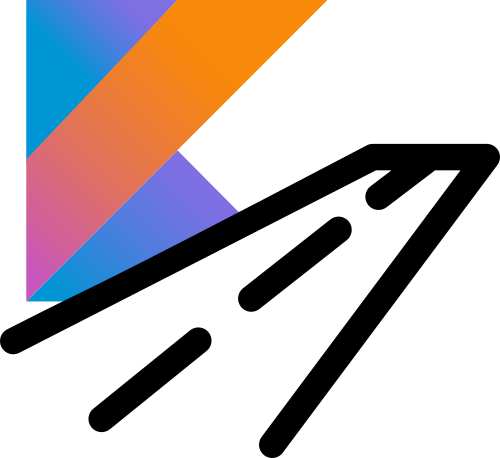 Fortunately, many patterns are built-in right into Kotlin’s language or its standard library. Expressions: Single expression functions. if, when and try-catch are expressions. We can combine these control structures with other expressions concisely. These features allow writing functional code in a safe, concise and expressive way. Consequently, we can create pure functions (functions without side-effects) more easily. Rule of thumb: Every time you write an if consider if it can be replaced with a more concise when expression. Kotlin allows removing the unnecessary wrapping util class and use top-level functions instead. Often, we can additionally leverage extension functions, which increases readability. This way, our code feels more like “telling a story”. The extension function apply() helps to group and centralize initialization code for an object. Besides, we don’t have to repeat the variable name over and over again. apply() is often useful when dealing with Java libraries in Kotlin. Don’t overload methods and constructors to realize default arguments (so called “method chaining” or “constructor chaining”). In fact, default arguments remove nearly all use cases for method and constructor overloading in general, because overloading is mainly used to create default arguments. The Java way of dealing with nullability is cumbersome and easy to forget. Every time you write an if-null check, hold on. Kotlin provides much better ways to handle nulls. Often, you can use a null-safe call ?. or the elvis operator ? : instead. The same is true for if-type-check. Using as? and ? : we can check the type, (smart-)cast it and throw an exception if the type is not the expected one. All in one expression! Sometimes, using let() can be a concise alternative for if. But you have to use it with sound judgment in order to avoid unreadable “train wrecks”. Nevertheless, I really want you to consider using let(). With let(), there is no need for an extra variable. So we get along with one expression. With data classes, writing immutable value objects is so easy. Even for value objects containing only a single property. So there is no excuse for not using value objects anymore! Since Kotlin 1.3, we should use inline classes for value objects. This way, we avoid the overhead of additional object creation because the compiler removes the wrapping inline class and uses the wrapped property directly. So it’s a free abstraction. With single expression functions and named arguments we can write easy, concise and readable mappings between objects. If you prefer extension functions, you can use them here to make both the function definition and the usage even shorter and more readable. At the same time, we don’t pollute our value object with the mapping logic. Think twice before you define a constructor body (init block) only to initialize properties. Note that we can refer to the primary constructor parameters in property initializers (and not only in the init block). apply() can help to group initialization code and get along with a single expression. private val usersUrl = "$baseUrl/users"
Kotlin’s object comes in handy when we need to implement a framework interface that doesn’t have any state. For instance, Vaadin 8’s Converter interface. For further information about the synergies between Kotlin, Spring Boot and Vaadin, check out this blog post. On the one hand, destructuring is useful for returning multiple values from a function. We can either define an own data class (which is the preferred way) or use Pair (which is less expressive, because Pair doesn’t contain semantics). But usually, we should use data classes and object mapping to create JSON. But sometimes (e.g. in tests) this is very useful. Especially for remote calls (like HTTP requests) the usage of a dedicated result class hierarchy can improve the safety, readability and traceability of the code. Contrary to exceptions (which are always unchecked in Kotlin), the compiler guides you to handle the error cases. If you use when as an expression the compiler even forces you to handle the error case. If like to read more about sealed classes as an alternative to exceptions, check out the post ‘Sealed Classes Instead of Exceptions’. You can find the source code in my GitHub project idiomatic kotlin.